Andrej Meszaros is going to make the Colorado Avalanche a better team, even if he never plays a regular season game in an Avalanche uniform. That might sound strange, especially regarding a player that performed well below expectations in Buffalo. 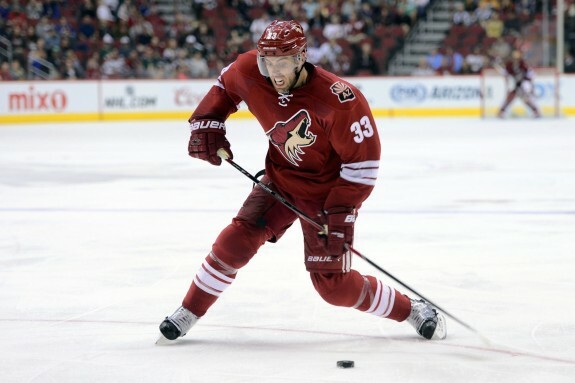 However, the 29-year old, who has joined the team on a PTO, will push for a spot on the third pairing in training camp. Meszaros’ presence in Denver isn’t just for show, and the team isn’t handing out PTOs because they feel like they need more bodies at camp for fun. The plan is to make them compete. Colorado’s complacency at the start of last season may have cost them a playoff spot. Colorado doesn’t have to worry about the top-four this season. Erik Johnson, Tyson Barrie, Francois Beauchemin and Nikita Zadorov will fill those spots. On the other hand, the last two spots in the top-six are not guaranteed to anyone. Bringing in Meszaros is a way to give him another chance, or at least push one of his teammates to show head coach Patrick Roy who should be starting. Last season’s training camp opened with one major addition to the defense, Brad Stuart, and one minor addition, Zach Redmond. Stuart was pegged to play top-pairing minutes with Johnson, and Redmond was a wild card. Apart from those two the roster consisted of players like Ryan Wilson, Stephan Elliot, Jan Hejda and youngsters like Chris Bigras and Duncan Siemens. The latter were probably not ready to make the jump to the NHL. The other defencemen have now all since departed. Last season, the competition was more for the entirety of the top-six, so there was less pressure on the defencemen to really fear for their spot. Stuart for example, probably didn’t feel like he was going to see much of the press box during the season because the competition to replace him was either not there, or potential candidates were too young. What coach Roy is doing now is creating a larger pool of talent to choose from. Players low in the pecking order can’t simply show up to training camp and expect to be handed their roster spots this year. The bottom pairing on defense can only be occupied by two players. Right now Meszaros, Stuart, Redmond, Bigras, Siemens, Nick Holden, Nate Guenin and Mason Geertsen are all competing for those two spots in the Avalanche lineup. 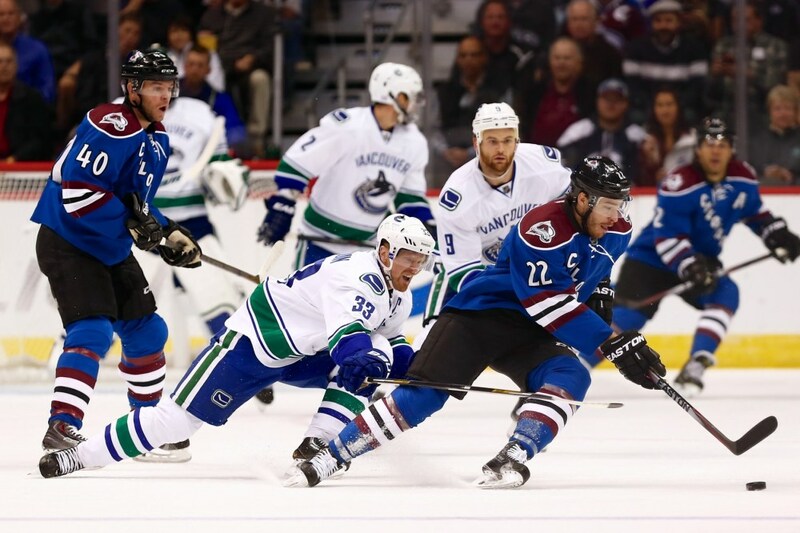 What the Avalanche front office hopes for is that this logjam in defense will force players to elevate their game. Removing the feeling of complacency from the dressing room should make a lot of these players feel nervous that a dip in performance could see them out of the lineup for an extended period of time. An impressive feat of management from general manager Joe Sakic is that he’s created defensive depth on a team that has been badly exposed in that area for a long time. He has on paper, at least. These depth moves that Colorado have been making have been going on all summer. Meszaros joining the team for training camp is a low-risk option that creates immediate competition on defense, but trading for Brandon Gormley is a very shrewd piece of business. Stephan Elliott was a promising draft pick, but he was soon overshadowed by Barrie. Actually, a full solar eclipse is more appropriate. It seemed like his chances of making it in Colorado were slim to none. Plus, Elliott was right-handed. Colorado has a lot of right-handed shots. Gormley is another promising prospect who had stalled in the desert. Both players needed a change of scenery. Gormley, a left-handed shot, is immediately placed into the crowded waiting list for a chance to play on the bottom-six. He has a better chance of making the team than Elliott did, because Barrie doesn’t make Gormley redundant. If he shows the kind of promise that got him drafted in the first round back in 2010, then he could put Guenin and Redmond in the AHL for the start of the season. All this comes back to competition. Gormley and Meszaros having good camps could put the likes of Guenin and Redmond in the AHL, but it could also motivate those two players to improve their game. Not to mention, youngsters like Bigras and Siemens might greatly benefit from a tough camp battle, and might even be better served getting a little seasoning in the minors first. Sakic and Roy have given themselves the luxury of choice this offseason. The big moves to land the likes of Zadorov and Beauchemin are great and very necessary, but these depth signings make for a more competitive atmosphere. If Colorado wants to make it back to the postseason, they need the big guns, but they also need the little guy. When training camp opens, the little guy needs to prove he belongs.